We are glad to share the latest developments at IST with you. It´s been half a year since we launched our brand new school. We truly hope that you are satisfied with the journey so far. Currently, IST is evolving from startup phase into the intense pedagogical development phase. The IST basis of curriculum development, learning practices, and assessment will be directly linked to the IB Primary Years Programme (PYP), its standards and practices in 2018 and to the Middle Years Programme (MYP) in 2019. It provides a systematic and holistic framework for the all-around development of students, endorses harmonized planning and teaching between teachers, supports multidisciplinary learning and establishes school practices and standards. From January to March our school is undergoing a rigorous feasibility study as a mandatory part of consideration phase for applying for the PYP candidacy status. We expect to submit the application for candidacy by the end of March, receive the PYP candidacy status in summer and start as an IB candidate school from September 2018. The status enables us the access to IB professional workshops, consultations, online resources, a network sharing practices and know-how. The school is already setting up its own practices and standards aligned with PYP framework. It requires hard work of school staff and also an open collaboration with the school community. The IB standards require that a school appoints a PYP coordinator who has a key role to lead pedagogical development activities. The IST has entrusted this responsibility to Mr. Ryan Calupas, our Grade 3-4 homeroom teacher with a previous IB experience including the authorization process. The introduction of his part-time responsibilities as the PYP coordinator gives you an idea of what needs to contact him. 2. Documentation: a record of PYP planners, PYP archive; understanding/use of PYP documents by staff; IB publications available to the school community. 3. Communication: collaboration system of PYP staff, parent information sessions and newsletters a liasion between the IB office and IST, documentation for authorization and evaluation. 4. Professional development (PD) of teachers: informs PD opportunities and keeps PD records, assists, and guides on PYP issues. 5. Resource management: recommendations to purchase the resources to support the PYP; the establishment of an inventory of resource. We are sure that by appointing the PYP Coordinator we are taking a big step forward in supporting the quality of learning at IST according to the IB standards. 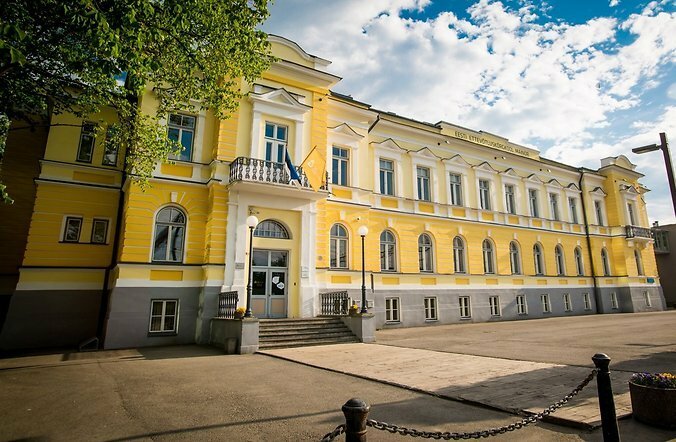 International School of Tallinn, an English language school for foreign children, founded by Mainor last year will be ready to take on the first 20 students this autumn. According to head of the new school Olavi Otepalu, they came up with the idea of establishing a school because in order for Ülemiste City, their biggest development, to be successful they needed to attract to Estonia high value-added companies and build the infrastructure that the foreign specialists working in those companies would require. “Given that convenience and access to all the necessary services on the spot are key to the development of the campus, it is important to have an English language school of general education there as well, in addition to the Estonian language Kalli-Kalli Kindergarten and Emili School”, Otepalu explained. “There are other schools in Tallinn offering international education, but there was a need for a new school in Ülemiste City, because even today it hosts a large number of international companies with foreign specialists from 50 different nationalities”, said Otepalu, who used to be head of Tallinn European School. According to Otepalu, an international school is structured on three important pillars: international environment, provision of highly regarded and globally recognized education and affordable tuition fees. During the first three years the school is going to offer general education in English, based on the Estonian national curriculum, thereafter the school shall switch to the internationally recognised IB or International Baccalaureate curriculum. Over the long term the International School of Tallinn plans to combine two very strong curricula – the Estonian national curriculum, which has proved its worth in the remarkable results Estonian students have achieved in PISA tests, and the internationally recognised IB curriculum, which would allow the students carry on their studies in other countries, if need be. “This is an important option for families, who have to move from country to country because of work”, he added. The school shall pay great attention to inter-disciplinary integration, developing general competences, problem solving skills, group assignments, creative learning and research based learning. In order to make the children more motivated, various digital solutions shall be used, and a personalised approach shall be applied in teaching, taking into account the specific needs and performance of every student. By integrating the two curricula the International School of Tallinn hopes to make of its students successful, happy, helpful and tolerant world citizens. “Clearly in the first years the owner of the school must invest a lot, but in the long run it is important for the state to make the sustainability of the school its priority and consider it as a necessary tool for improving the social environment and faster integration of the foreign employees”, noted Otepalu and added that Mainor has decided to cover 25% of all the tuition fees this year, thus offering more favourable terms for the first students who enter the school. Brisk expansion is planned for subsequent years and eventually the school is scheduled to cover the full study cycle from primary years to the end of upper secondary school. To achieve this, plans are already under way for building modern premises for the school in the centre of Ülemiste City. The Mainor Group has been established in the educational market since 1992, when today’s Mainor Estonian Entrepreneurship University of Applied Sciences started out as the Mainor School of Economics. Over time Mainor has been engaged in training, consulting and development related activities. In addition, Mainor was involved in establishing the Kalli-Kalli kindergarten and Emili School, an Estonian language school of general education in Ülemiste City.